Basically, I want to take a page from the Pozzo handbook. 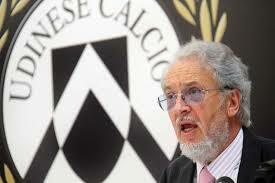 In case you are not familiar with the story, Giampaolo Pozzo took over his local side Udinese back in 1986, since then Udinese have been on an incredible journey which has taken them from betting scandals and Serie B football to the Champions League, and Giampaolo didn’t achieve this through following a model which involved him spending big amounts of money on players, he achieved it through investing in scouts which found some of the best young talents across the world, these players would then be signed fairly cheaply by Udinese and would be developed into great footballers who could help the team grow. In the summer following promotion in 1994, Udinese supporters were given a taste of things to come in the shape of Oliver Bierhoff, signed for approximately 2m from Ascoli. Within three seasons he was a German international, topped the Serie A scoring charts in 1997-98 with 27 goals and was sold for ten times the amount he was bought for to AC Milan. This was the “Udinese Model” in its embryonic stage, Bierhoff its first real success. Set up by Pozzo in that first season back in Serie A, Bierhoff was just one example of a number of older players Udinese have transformed from journeymen into household names.